I am glad I waited to post this talk, because my experience using social media in my MOOC, Investigating Film Noir, which I taught from March-April 2013 has helped me confirm my basic thesis here. 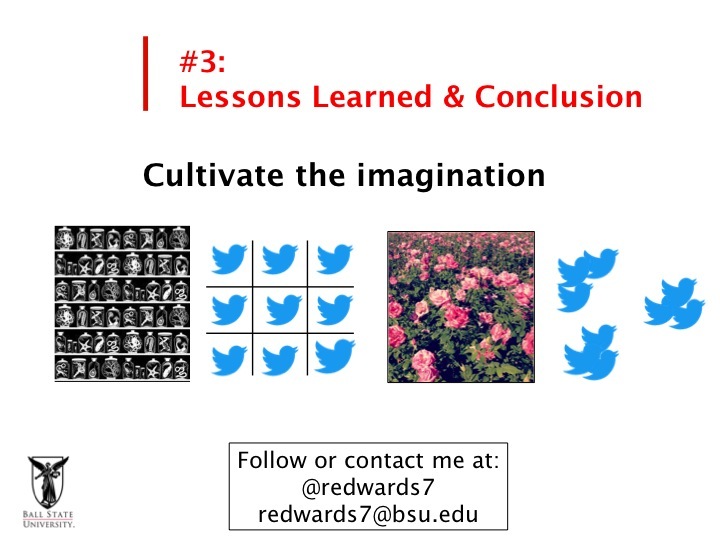 Using Twitter, Storify, and Pinterest in my MOOC, I do believe I started to reach some of the goals that I articulate in this talk. My MOOC cultivates outside subject matter experts, and involved the synthesis and application of learning outcomes. In my MOOC, students would twit-pic some of the images from the films we were studying and other students would re-tweet or comment on those images. We would ask questions on Twitter, opening up answers to our questions to experts beyond those enrolled in the course. And many of the tweets exchanged among students engaged in a metacognitive awareness of what it means to analyze film. Here are the ten slides. 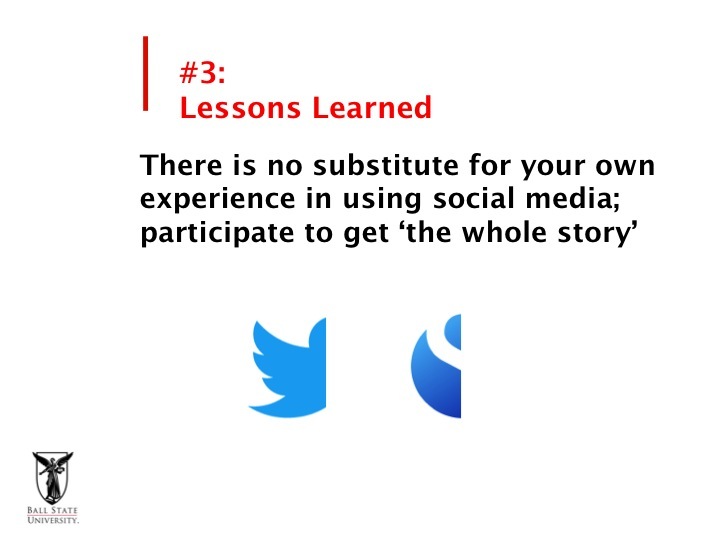 Each slide is followed by my spoken commentary: Since I only have 10 minutes in a lightning session, so I will focus on a single, main learning outcome for those of you interested in building social media in your course designs. 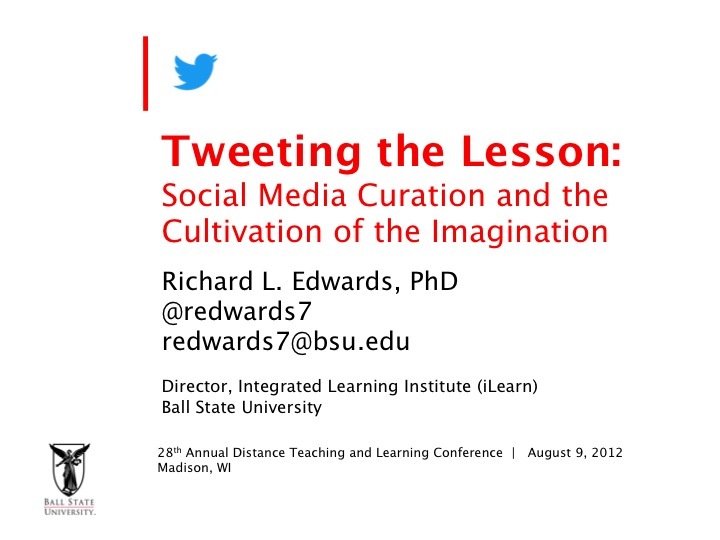 Throughout this talk, I will return again and again to “cultivating the imagination” of our students. That phrase intentionally recalls the work of John Seely Brown and Doug Thomas in their wonderful book, A New Culture of Learning. I see “cultivation of the imagination” as the major learning outcome for higher education. Regardless of your favorite learning theory, whether you are a constructivist, a clicktivist, a connectivist, or subscriber to any other learning theories, creating imaginative and self-efficacious thinkers rates highly all of them. If we cultivate our student’s imaginations, we will have the lifelong learners we desire. Social media is one area to explore along that path. Social media tools intrigue me, because they have the capacity to be tools to encourage and support lifelong learning, and they foreground their very informality. Twitter was not designed with a college accreditation standards or assessment techniques in mind. It is a commercial tool that can be used for learning from others through the open and global Web, but it takes some design and purposefulness to make that happen. Currently, when we bring social media into the classroom, we tend to kill what makes it such a great learning tool to begin with. We tend (in my experience as an instructional designer) to enclose it within the confines of the formal course objectives and that frequently short-circuits its engagement with larger online networks. In these instances, students start to wonder why they are using Twitter in the first place. Seldom if ever will a course hashtag trend worldwide. An Integrated learning approach tries to have it both ways--to balance and transfer the formal and the informal learning. 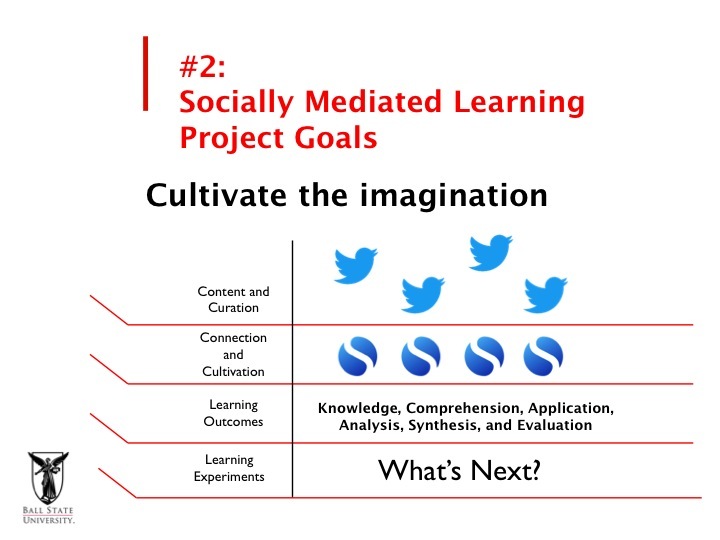 The course “walls” of a socially mediated learning experience need to be more porous than solid. I see Twitter (to just pick one social media tool out of the many) as a way to support student-centered learning. But I want students on Twitter in all its informal messiness. That way, Twitter can bring in expert voices in your classroom. Twitter can be medium for your students share their passions and curiosity with a large number of followers and thereby build new connections and new relationships through the classroom and beyond the classroom. And that brings me to curation. Twitter is frequently seen as a curatorial site. But I would make a critical distinction between three modes of curation. Twitter is built with informal curation tools. It is a way for any user of Twitter to receive and assess the constant flow of tweets. We can favorite a tweet and keep it for future reference. We can retweet to show our interest in another person’s tweet. But informal curation is mostly about receiving new messages, and giving them an initial assessment. A step up on the curatorial ladder is a more formal personal curation. Using tools such as Storify, paper.li, or scoop.it, social media stories can be assembled and recalled later when one wants to review or better still, apply that information. 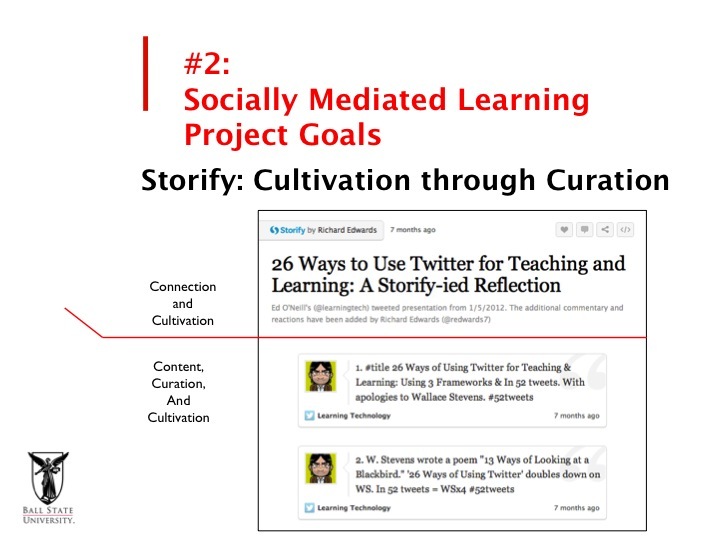 But finally, curation can be crowd-sourced and shared. It can be the basis of a networked curation. Students can produce new knowledge from an archive of aggregated tweets. They can add new information to others tweets by providing new contexts, new explanations, new insights using a host of social media aggregators. This is the key goal for my talk today. How do we design our projects and use our learning outcomes to encourage these practices? When students engage in networked curation, they will get closer to the goal of cultivating the imagination. But as long as social media is locked within the confines of an online course, we will likely experience something closer to #TwitterFail. Students will feel that the exercise of social media is basically hollow. It becomes just another task to complete versus a new kind of digital and informational literacy. 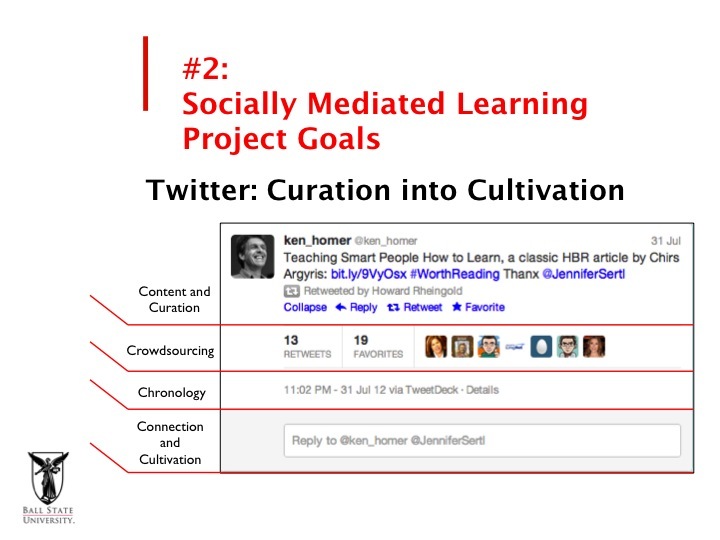 To reach that higher learning outcome, we need more learning experiments involving social media curation and cultivation. We are at an early phase of social media integration into the online curriculum. What we don’t know is much greater than what we do know at this point. How curation will continue to develop in the future is an open question in my mind, but now is the time for experimentation. 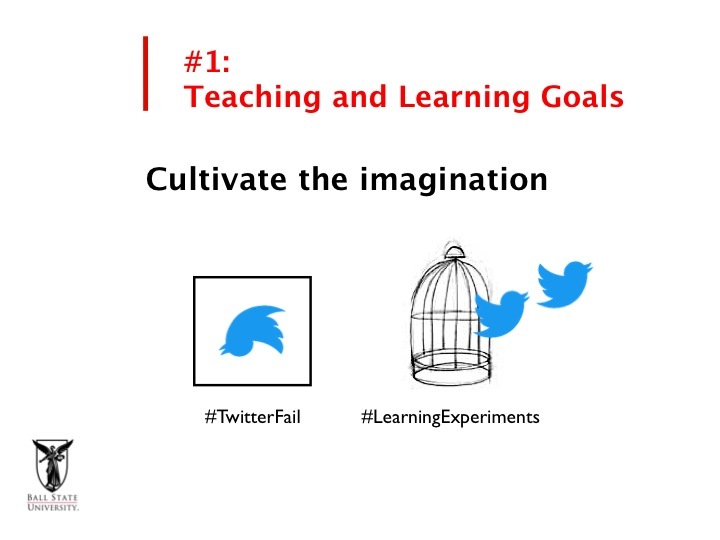 And if the experiments are focused on generating more powerful learning outcomes through social media, we will find ourselves on the right track, even if some of those experiments fizzle. That brings me back to Twitter in its specific form. I see Twitter as having multiple layers and where those layers reside is telling to me. The top portion of an expanded tweet is the message and the person who sent the message – what we will call the “content.” There are some basic curatorial tools that require little effort on the part of the person who reads the message – one can retweet the message or favorite it. I will return to “reply” function in a moment. The next layer down is the crowd sourcing information. You can find out if others have found this tweet interesting. How many times has it been retweeted? Favorited? Who did this? And should I follow some of these people since they might share some of my interests? Twitter also gives you a “timestamp” that will be useful when you start to aggregate multiple tweets. But the bottom layer of a tweet is its cultivation layer. Retweeting and favoriting are good, but replying builds new connections and adds to the original knowledge object. It is in replying that the message is extended, and the learner can express new information. But this is the bottom layer of a tweet. Compare this to a tool like Storify. Storify is one aggregator among many on the open Web, but it will stand in for other ways of cultivating social media knowledge. In Storify, the connection and cultivation layer is the top layer. To engage in Spotify is to be both a curator and a cultivator. As I will argue throughout this talk, you need both. You need to sort through the massive information network and make choices (curation) and have a means for adding new information and new syntheses in a structured way (cultivation). Or as I prefer to state it: we achieve cultivation through curation. We see critical thinking at both the level of the assemblage and its new context, and like cultivation in agriculture, bring forth an entirely new ecology of knowledge. I particularly like Spotify because it foregrounds its role as a knowledge cultivator through its trope of “stories.” To tell a story is an act that brings together many different learning outcomes. Which brings us back to cultivating the imagination. 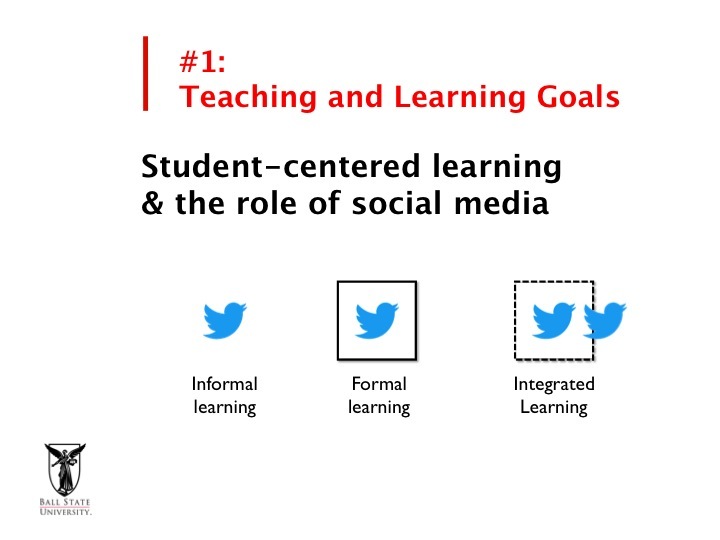 How does this approach to social media apply to online course design? I would argue that “cultivation through curation” touches on almost all the key learning outcomes we might seek in our course designs. Spotify can support the evaluation of information, as student learners evaluate their aggregated tweets. Spotify can support the synthesis of knowledge, and we can assess how well students bring together tweets to show their engagement with disciplinary knowledge. Spotify can aid in comprehension as students have to sort through and make sense of information that can be crowd-sourced and supplemented by subject matter experts from beyond the course. 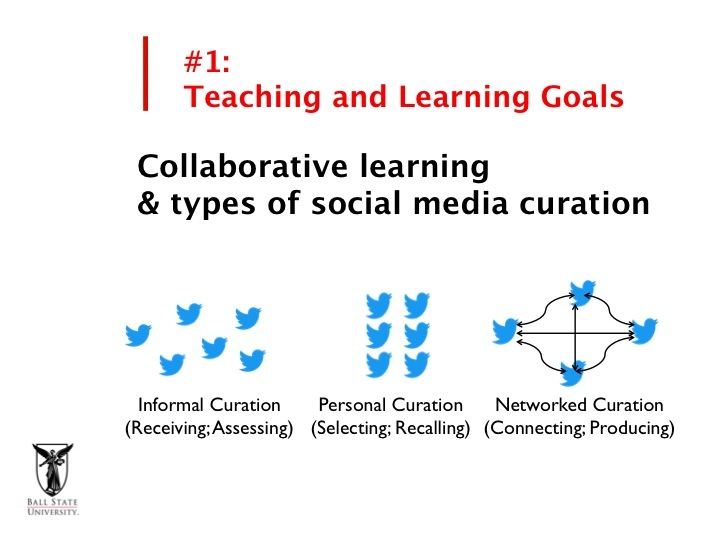 And this brings us back to the concept of “networked curation.” If one tweets to connect, then one of the major connections we are making through social media is a connection to participatory learning. Social media rewards active participation in ways that make it valuable for online learners and online learning communities. One thing that I do like is how Twitter, or even tools like Storify and Pinterest, are only “parts of the story.” These social mediated communication streams and tools only come to life when learners engage with them, and complete the story. Storify allows students to not only aggregrate their tweets, but comment on the “new story” that emerges from the act of aggregration. As tweets are built into stories, and as students share and reflect on those new stories, new possiblities for curation and the cultivation of the imagination emerge. And these are four of the major takeaways when we focus on social media curation. 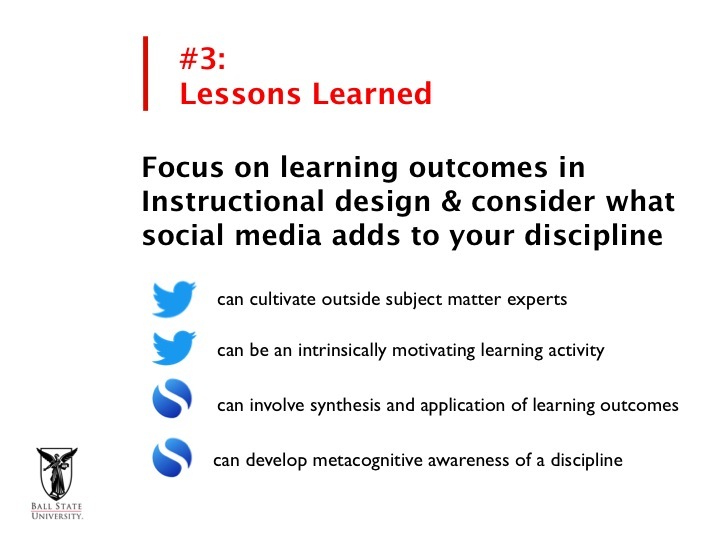 As is always important in instructional design, you need to consider what social media adds to your discipline. This is going to be different for an Art History course, or a Sociology course, or a Business course. But in each case, the art of communication and the science of connection and curation can come together to transform student learning and engagement. Part of what is fun about social media curation is how visible the learning is. You can follow alongside your students as they create these new knowledge connections and these new archives. Which brings me to my final point. If we take the cultivation metaphor to its logical end, we start to recognize that far too frequently in our efforts to connect our students to disciplinary knowledge, we inadvertently bracket off the wealth of networks, the flow of information, collaborative energies, and networked data. We tend, even when we intend the opposite, to encourage our students to construct their information as personal, as if they are building old-fashioned knowledge cabinets. They might be able to collect our “disciplinary specimens” and arrange them in their own self-contained cabinets of curiosity that harken back to the early days of the Enlightenment and the desire for encyclopedic knowledge. But I want to leave this talk by offering another vision, one not of information contained and walled-off, but of information set free and shared. In this final maneuver then, social media curation of disciplinary knowledge might lead towards opening up new fields of knowledge, new areas of engagement and collaboration. Information can be powerful when it is shared. Let’s see what kinds of information fields might open up in the social media age.